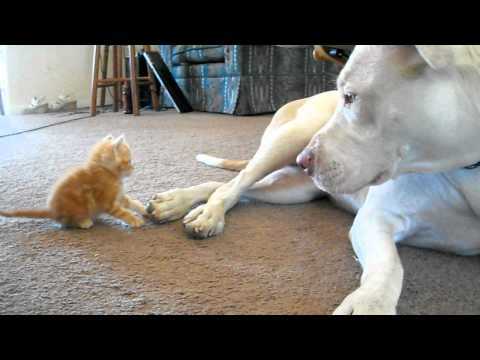 There are 5 cat videos tagged with pit-bull. 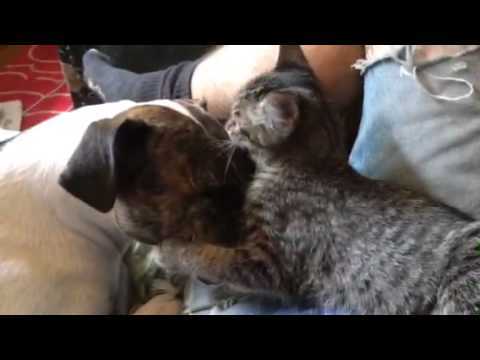 This pit bull mix dog, Gertrude, has an adorable new housemate; a 2-month-old gray tabby kitten named Earnestine. I brought this little kitten home and my dog handles the new member of the family so well! What a sweetheart! "ViralSnare Verified (Original) * For licensing / permission to use: Contact - licensing(at)viralsnare(dot)com"